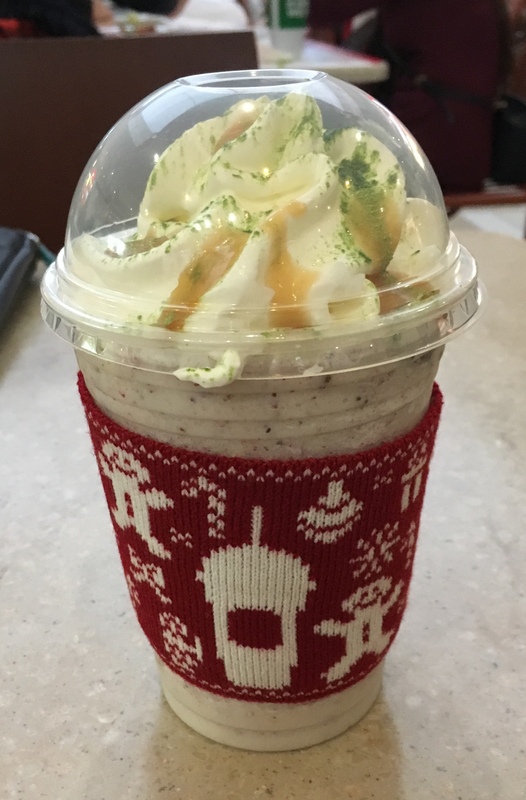 On behalf of all the faithful members and friends of the Society for the Protection and Preservation of Fruitcake, this founder took herself to the nearest Starbucks to partake of their holiday offering – Fruitcake Frappuccino! The new beverage is inspired by holiday fruitcake with its colorful candied fruits, nuts and spices. 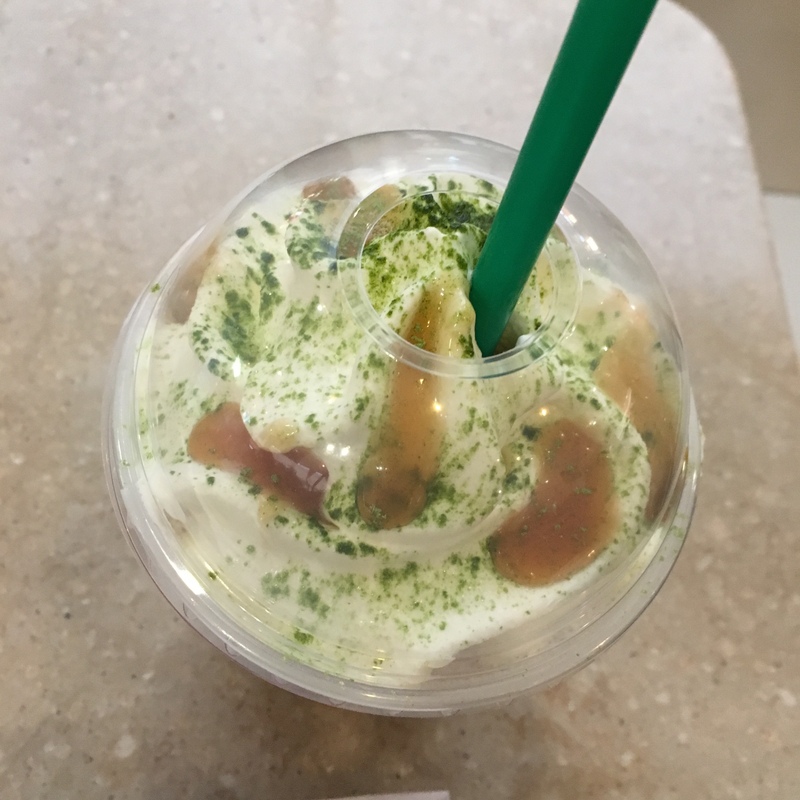 Starbucks version starts with a Hazelnut Crème Frappuccino® blended beverage with dried fruit added and spiced with cinnamon, topped with whipped cream and an ornate topping of caramel dots and a sprinkle of matcha. But unlike a traditional fruitcake, Fruitcake Frappuccino won’t last forever. And in real life? It came with a cute knit cup cozy and was tasty enough. I thought it tasted more of vanilla than hazelnut but that’s ok too. Pretty tasty, even if it was just for “ugly sweater day” celebrating. Bring it back next year, Starbucks!